What exactly is a WDO Inspection? This can include anything from termites to fungi attack growing on the outside or inside of your home. An inspection of the exterior of the home, looking for signs of termite activity, as well as conditions conducive to termite and other fungi infestation , dead tree stumps by the house, improper grading, leaky gutters or downspouts, or tree branches overhanging or touching the home. The inspector will also look for evidence of infestation by other wood-destroying insects. An inspection of the interior of the home with special emphasis on the basement, garage, door and window frames, and other areas that is particularly prone to WDO growth or infestation. This part of the inspection will be both visual and physical, and typically involves visually inspecting, tapping, probing, and sounding susceptible wood. The inspector will also be looking for live termites or other insects, dead termite "swarmers", other evidence of infestation, damaged wood, and conditions conducive to infestation. A detailed written summary of the inspection results will include a standardized inspection form developed by the DACS and adopted by various state and federal agencies, and may sometimes include additional documents attached by the inspector to clarify the inspection findings. What exactly is a Structural Inspection? Two types of inspections homeowners typically request prior to the time of closing on real estate include WDO inspection and a Structural Home Inspection. The difference between these inspection types may not be apparent to someone new to the state or to inexperienced buyers. The inspection of structural condition of the home includes electrical, HVAC, plumbing, roofing, and other structural observations. Beware, home inspectors cannot legally perform WDO inspections unless they work for a licensed pest control company and have been properly trained to perform a WDO inspection using Form 13645 to report the inspection findings. The fact that some inspectors have crossed over to the pest control side and can legally complete Form 13645 has resulted in confusion over the differences between a home inspection and the WDO inspection. 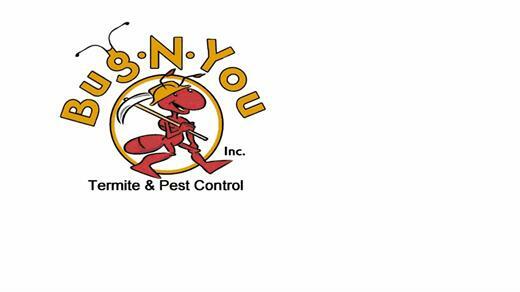 Bug N You, a certified pest control professional company, is an expert in performing services in northeast Florida. Additionally, the inspector will point out conducive conditions that could lead to a new termite infestation, or support an existing termite infestation, including firewood and other debris stored against the home, wood siding contact with the soil, and grade that does not slope away from the foundation. Other potential concerns may include mulching materials, landscape timbers and deteriorated wood in the home's vicinity. We will provide detailed reports on the condition of the home, including notations of structural damage related to termites and other WDOs on forms other than Form 13645. 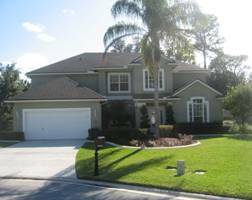 Why have a WDO Inspection? When obtaining a mortgage or a mortgage guarantee to finance the purchase of a home, You should and most likely will be required to obtain a WDO inspection by the bank, the mortgage company, or the guarantor (FHA, VA, HUD, etc.). Although commonly referred to as a "termite inspection," WDO stands for "wood-destroying organism," and a proper WDO inspection looks for evidence of infestation by termites (both subterranean and dry wood types), wood decay, wood-devouring beetles, as well as evidence of past infestations, damage to wood, or conditions conducive to infestation; and evidence of past treatments. These inspections are not always mandatory for a buyer to obtain financing to buy but I think they are extremely necessary to have before buying a home. You never know when you are going to find hidden termites or wood rot that needs to be replaced. Anytime conditions like cracks in the foundation or plumbing leaks are present, the possibility of a hidden WDO infestation exists. Pay particular attention to the conditions portion of your WDO inspection report. When evidence of a past or present WDO infestation, damage due to an infestation, or conditions prone to infestation are found, the inspector will usually attach his or her remediation recommendations and/or an estimate for treatment. The inspector will determine the presence of termites, and recommend a termite treatment if necessary. For homes previously treated, it’s important to note that the inspecting company can give no assurances with regard to prior work done by other companies. The company that performed the original or most recent termite treatment should be contacted for information on the exact treatment and warranty or service agreement that may be in place. If the inspection turns up major termite problems, the buyer can negotiate with the seller to have them pay for necessary termite treatments and repairs, or the buyer may elect not to continue with the purchase of the property assuming the contract is properly written to do so. The findings are reported to the purchaser of the WDO report, usually the homebuyer. Ask your real estate agent or home inspector about obtaining a copy of this report for your records. While the pest control professional’s inspection will be thorough, their report is not a guarantee or warranty as to the absence of wood destroying insects, nor is it a structural integrity report – it’s simply a report that captures a snapshot in time, indicating what is observed at the time of the inspection. Therefore, the report is usually considered invalid for the purposes of securing a mortgage and/or settlement of property transfer if not used within 90 days from the date of inspection. Sellers should make sure as many areas in the home are accessible as possible. If buyers are having a WDO inspection conducted in conjunction with a home inspection, ask the sellers to make the home as accessible as possible, before the inspector arrives. Obtain full disclosure from the seller regarding any insect activity during their ownership and obtain the names and phone numbers of any companies that have provided treatment along with any relevant paperwork. This will help to maximize the benefits of the inspection. When it comes to termites, why risk it? Home sellers can take termites out of the equation, plus add value to their home, by investing in a premium termite treatment. Buyers can ensure their new home remains termite-free by understanding available treatment options and knowing the home’s termite treatment history. With today’s advanced treatment options, termites no longer have to be a deal breaker. Consumers should feel confident that this is one problem that can be solved quickly and completely with the help of a Bug N You, licensed pest control professional.